What is Sensory Processing Disorder and How Is It Related to Autism? Earlier this week, there was an article in The Boston Globe about sensory processing disorder. It stated that a group of researchers, families, and occupational therapists is aggressively lobbying to get sensory processing disorder included in the next Diagnostic and Statistical Manual of Mental Disorders, which is currently being drafted. Many readers may wonder, what is a sensory processing disorder? Sensory Processing Disorder (SPD) is a neurological disorder that causes difficulties with processing information from the five senses: vision, auditory, touch, olfaction, and taste, as well as from the sense of movement (vestibular system), and/or the positional sense (proprioception). For those with SPD, sensory information is sensed, but perceived abnormally. Unlike blindness or deafness, sensory information is received by people with SPD; the difference is that information is processed by the brain in an unusual way that causes distress, discomfort, and confusion. Although a sensory processing disorder is not considered a qualifying characteristic for a diagnosis of autism, I have yet to meet a person on the autism spectrum who does not have a challenge in this area. In interviewing adults and teenagers of different ability levels for my book, Autism Life Skills (Penguin 2008), most of them stated sensory processing challenges as the number one difficulty for them, regardless of where they were on the spectrum. Does this mean that if a person has a sensory processing disorder, he or she has autism? No, it does not. People may experience a sensory processing disorder, but not show any diagnostic signs of autism. However, sensory processing – making sense of the world – is what most adults on the autism spectrum conveyed to me as the most frustrating area they struggled with as children, and this impacted every aspect of their lives – relationships, communication, self-awareness, safety and so on. Babies and toddlers learn about the new world around them by using their senses. At first they put everything in their mouths, they grab your finger with their little fists, then they start using their eyes to look at all those cute baby mobiles hanging over the crib. They learn to recognize the sound of their mother and father’s voices and other noises. They start putting meaning to what they are hearing and seeing. The lesser known senses that have to do with balance and body position (vestibular – where are heads and bodies are in relation to the earth’s surface; and propioceptive -where a certain body part is and how it is moving) are also necessary in order to making meaning of the world around. If these are not working properly and are not in synch, they acquire a distorted view of the world around them and also of themselves. In my latest book, 41 Things to Know About Autism (Turner March 2010), I discuss sensory processing challenges. Most parents and educators are familiar with how auditory and visual processing challenges can effect learning in the classroom. Yet, for many, sensory processing difficulties are a lot more complicated and far reaching than that. For example, Brian King, Ph.D, a licensed clinical social worker who hasAsperger’s, explained that body and spatial awareness are difficult for him because the part of his brain that determines where his body is in space (propioception) does not communicate with his vision. This means that when he walks he has to look at the ground because otherwise he would lose his sense of balance. Temple Grandin, Ph.D, (Thinking in Pictures, Animals in Translation) is an animal scientist, and successful livestock handling equipment designer. Temple designed and built a deep touch pressure device ‘squeeze machine’ when she was a teenager as she needed the deep pressure to overcome problems of oversensitivity to touch, and helped her cope with feelings of nervousness. Donna Williams, Ph.D, bestselling author, artist, and musician, had extreme sensory processing challenges as a child and still has some, but to a lesser degree. Donna talks about feeling a sensation in her stomach area, but not knowing if her bladder is full, or if it means her stomach hurts because she is hungry. Other adults mentioned that they share the same challenge especially when experiencing sensory overload in crowded noisy areas. They shared that they set their cell phones to ring every two hours, to prompt them to use the restroom, in order to avoid a potentially embarrassing situation. Many adults on the spectrum find it difficult to tolerate social situations. Meeting a new person can be overwhelming – a different voice, a different smell and a different visual stimulus – meaning that difficulties with social relationships are not due to just communication, but are about the total sensory processing experience. This could explain why a student can learn effectively or communicate with a familiar teacher or paraprofessional, but not a new one. There are many difficulties shared by those experiencing sensory processing challenges, but to varying degrees, and these will be discussed in my next post. 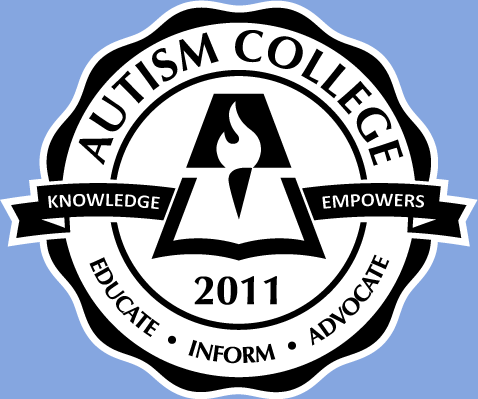 This article originally appeared in The Autism Advocate blog at PschologyToday.com. Search for a mental health professional near you. for them, regardless of where they were on the spectrum. disorder, but not show any diagnostic signs of autism. lives – relationships, communication, self-awareness, safety and so on. noises. They start putting meaning to what they are hearing and seeing. lose his sense of balance. communication, but are about the total sensory processing experience. with a familiar teacher or paraprofessional, but not a new one.